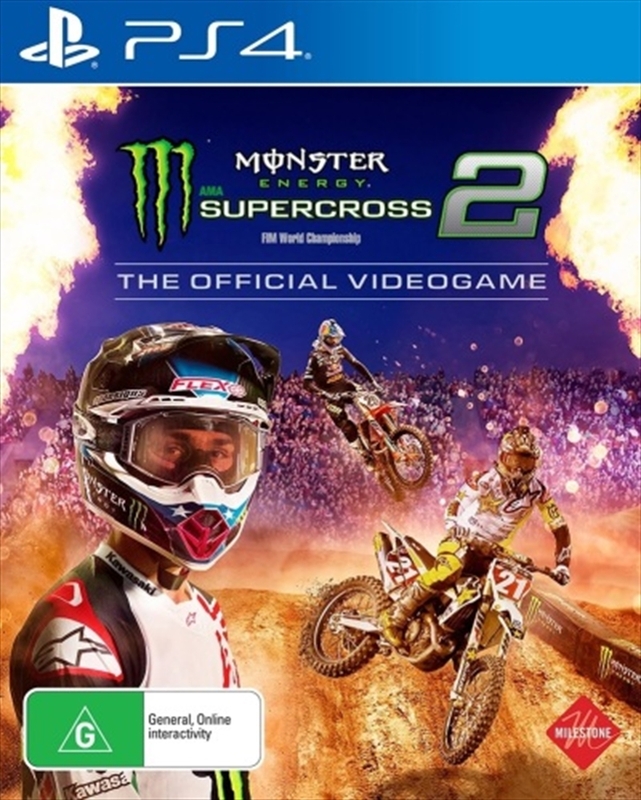 All the action, all the battle and all the feeling of the 2018 Monster Energy AMA Supercross Championship are waiting for you with the MONSTER ENERGY SUPERCROSS - THE OFFICIAL VIDEOGAME 2! Live like a champion into the renewed Career Mode. Train hard in the Compound area across 4 different layouts, join different activities following your own agenda - from Monday till the race weekend you'll always have challenges to face, sponsors to attract, fans to meet and prizes to gain! Face the competition as a hero, competing in the official tracks and more than 80 official riders from 250SX and 450SX, including the superstars Jason Anderson and Marvin Musquin and the most awaited rider by the Supercross fans: Eli Tomac! Your face, your style, your own personality. A brand-new level of customization with more than 3.000 items to create the bike of your dream, make your avatar as your twin and celebrate your victory as you please. After all, everyone has his own superstitious gesture! An enhanced track editor with brand-new features and now even easier to approach thanks to the in-game tutorial and the renewed UI graphics. Create your track, jump in it and share it online with the community! The official 2018 Monster Energy Supercross Season. 80+ official riders in game from both 450SX and 250SX Classes, including the 2018 Champion Jason Anderson and the Superstars Eli Tomac and Marvin Musquin. A renewed career mode: train in the compound area, manage the rider's agenda, attract new sponsors to increase the fame and unlock new elements. A huge Compound area: where to free roam and test the custom rider skills facing different challenges against rivals. A powered-up track editor and improved customization possibilities for riders, bikes and celebration poses. More snackable: it's easier and funnier to jump in the game, thanks to a refined in game physics, renewed training mode and in-game help.